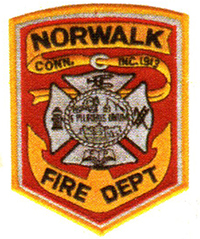 (Monday, May 21) Starting this week, seven seniors from Brien McMahon and Norwalk High School will begin their 4 week internship at the Norwalk Fire Department. These students will primarily be assisting with pre-fire planning surveys, but will also receive training in CPR and other skills. These NFD interns will be issued temporary Fire Department Identification tags, and will be assigned in pairs to visit businesses during the work day. Students will coordinate with a business manager or owner and will be entering information into the software program that is accessible to responders in all the Fire apparatus. Pre-planning information that is especially useful for first responders includes: After -hours contact information for employees with a key and/or location of lock boxes, fire protection systems and alarm panels, locations of fire department connection and utility shut-offs.